UBM plc has acquired Expo CIHAC from Centro Impulsor de la Construcción y Habitación A.C. (CIHAC), the Mexican construction industry trade association. 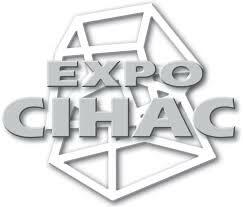 CIHAC is to provide long-term support for Expo CIHAC. The terms of the deal were not disclosed. Expo CIHAC is based in Mexico City. Eleven of the business’s existing employees will transfer to UBM. Expo CIHAC was launched in 1989 and is now among Mexico’s ten largest tradeshows and the largest serving the infrastructure, construction and housing markets. Held annually in October, Expo CIHAC exhibitors span the industry including construction materials, machinery, equipment, hand and power tools, prefabricated building systems and technologies, financial services, real estate, insulation and piping. Expo CIHAC also hosts around 30 co-located conference and technical seminars on topical issues. Last year’s 25th edition attracted 30,000 attendees and over 500 exhibitors, and generated revenues of approximately £4 million. The Mexican construction industry is seeing significant investment driven by growth in the Mexican economy, demand for housing, and government infrastructure funding programmes. The Mexican construction industry is also increasingly looking to adopt sustainable construction practices and technologies in use in Europe, Canada and the US. Expo CIHAC is complementary to a number of UBM shows serving the global Built Environment sector including Negocios Nos Trilhos, the Concrete Show Brasil (whose Mexican edition launches this May) and Ecobuild with an Expo CIHAC / Ecobuild collaboration announced earlier this year. Return on the acquisition is expected to exceed UBM’s cost of capital in the first full year of ownership.